Consortium member Ericsson has been selected by Landmark Dividend, a leading real estate and infrastructure firm, to build communications infrastructure for its intelligent microgrid ecosystem across North America. Ericsson will build its Zero Site platform, cloud, core, and Internet of Things (IoT) software solutions. 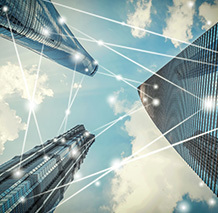 To support the developing Landmark network, Ericsson will add its cloud, core and IoT software solutions with enterprise and energy-management applications. Ericsson will also provide microgrid management, integrating communications for the industrial IoT with battery storage applications and grid-control software. Read more from Ericsson here.